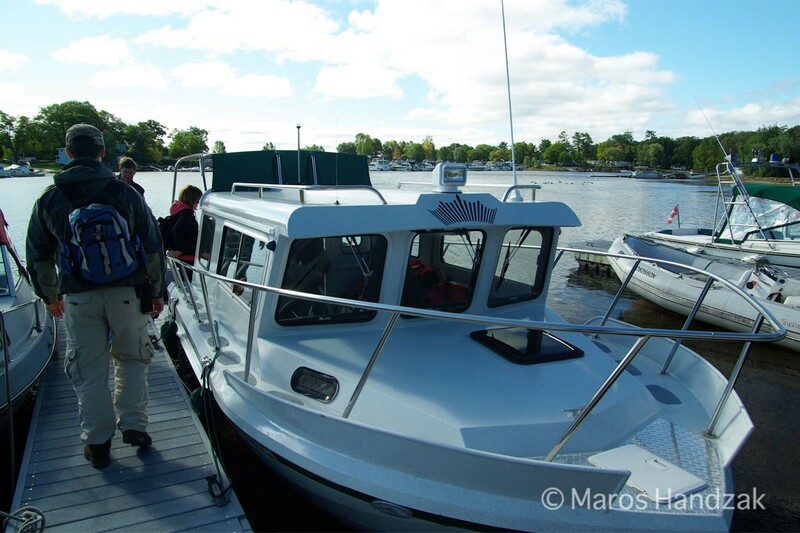 If Georgian Bay in Ontario contained beer instead of water, it would be honey brown beer—at least in Honey Harbour, where Parks Canada boats can pick you up and take you to Georgian Bay Islands National Park. One late spring morning, my friends and I met at Honey Harbour. Our target destination: the islands. Strict rules apply on the boats, and a beer-free ride is just one of them, so honey brown beer in Honey Harbour did not materialize, not even in the bottled or canned form. The late spring sun enhanced the colors, making them shinier and beautifully saturated. 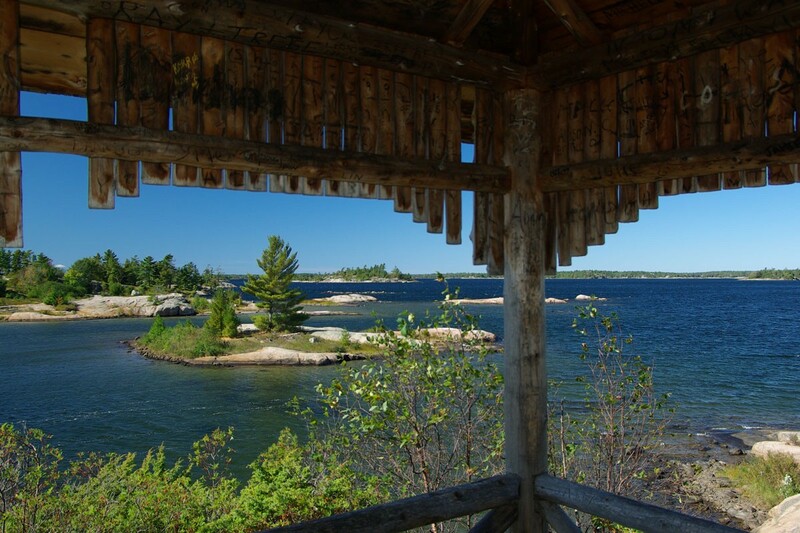 The steel blue surface of Georgian Bay, combined with the fresh green trees, violet-yellow flowers and wooden shade of the shelter, brought to light this spontaneous luxury of nature. Wild animals watched us from the safety of their comfort zones. 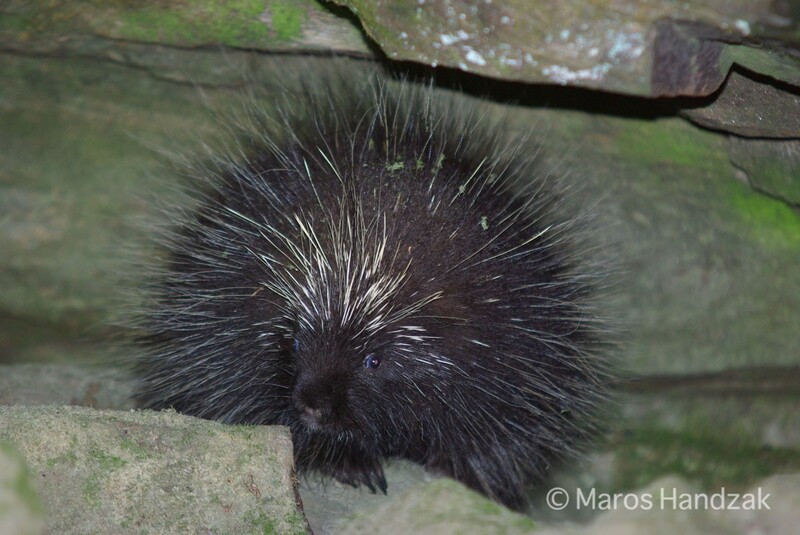 A porcupine found his hiding place between the rocks. His curious blue eyes were scanning our moves. Once he figured out we were more interested in his passport-sized photo than a handshake (or a footshake) with potentially deadly consequences, he looked relieved. Good for him, the spiny islander. While the cautious porcupine survived the dose of adrenaline caused by seeing people close-up, the rattlesnake was less lucky and almost ended up under my heavy hiking shoes. Only his snake instinct and rattling saved his precious (and protected by law) life. It is not easy if you are an endangered species. 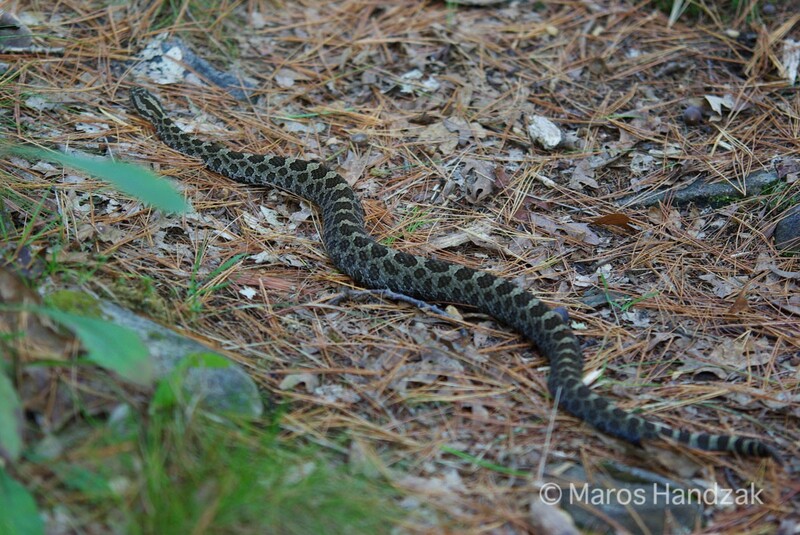 I was probably equally fortunate to have missed him, as this is the only venomous snake living in Canada. After the incident, I followed him with my camera for a few meters before he disappeared in the thick grass under the trees. What a pleasure seeing the rattlesnake, a rare occasion in the Canadian wilderness. It was a very relaxing afternoon. While we hiked on the Georgian Bay Islands, the bay’s waters did not turn to honey brown beer despite our wishes. Maybe geological evolution or some kind of revolution will work in our favor. See you later, alligator! In a while, snake and porcupine! All content provided on HANDZAK.COM website is protected by copyright. No information or photographs can be used without the express written consent of HANDZAK.COM. If you are interested in publishing this or any other story from HANDZAK.COM, please contact us. For other languages, please contact Strategic Languages.